Today, I want to share a little about a service we offer at Santosha Birth and Wellness, that I (Jaime) really enjoy. I make custom flower essences for babies, children and adults and I have been so delighted with the changes these flower essences have made for the families I’ve been fortunate to serve. 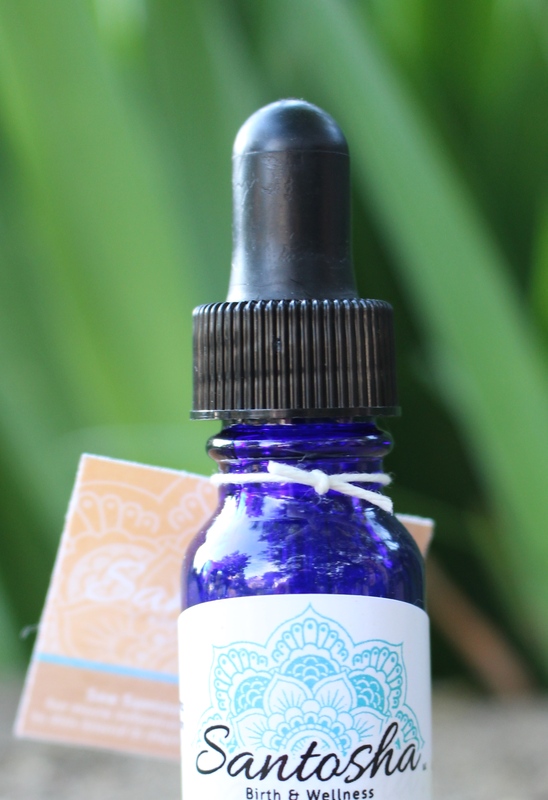 All people should know that flower essences are an amazing resource available to them in times of need! One of the things I love the most about flower essences is how safe and gentle they are. Flower essences work with the body, mind and spirit to encourage rather than force positive change. They are subtle, but incredibly profound, and can create real, deep and lasting change. So if you are feeling like you could use some support in your life, flower essences can often be a great facilitator of the change you seek. It can be hard to know what to purchase at the store– as most flower essences are labeled by flower rather than purpose– so it can really help to work with someone who is trained with flower essences and understands what flower essences might be most appropriate given your healing goals. This is where we come in! When you contact us for a custom flower essence, we will talk in the manner most comfortable to you– maybe by email or phone, or even a Facebook message! You would ideally describe in as much detail as possible what is going on for you (or your child). I often will ask follow up questions to clarify and confirm my understanding of your situation. Next, I work carefully with the flower essences, selecting 3 to 5 (or sometimes 6) that I think would work best for you given your situation. In other cases, I may recommend that you use only one essence to start, to really work on the healing lessons offered by a particular flower. Once selected, I prepare your essence and write up a list of the flower essences it contains, including a description of each one so you know what they are for. I’ve been so grateful to work with many families and individuals who’ve experienced remarkable benefits while taking their custom flower essence blend. I’ve had adults who were experiencing physical symptoms of stress and anxiety report a cessation of their physical symptoms and a greater sense of peace while taking their remedy. I’ve had others experience dramatic healing shifts as early as their first dose of a flower essence. I must also say that nowhere have I seen a greater change than in the children I’ve had the great privilege to work with. I’ve worked with infants, toddlers and kids. In my experience, little ones respond exceptionally well to flower essences. I’ve worked with kids who’ve had birth trauma, separation anxiety, social problems, sibling problems, tantrums, and other issues. All the little ones I have worked with have benefited so greatly from their custom blend. If you are ready to work with me to create a custom blend for you or a loved one, please contact me to get started. You can email me at jaime.santosha@gmail.com. If you prefer, we can talk by phone after the initial conversation gets rolling.